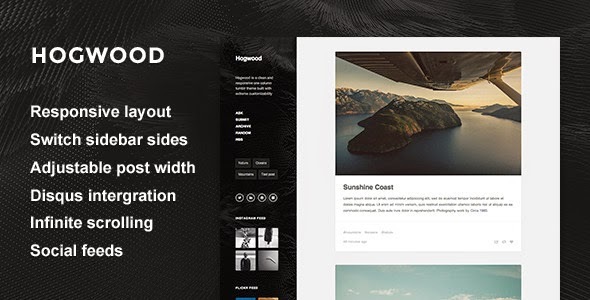 Hogwood is a clean and responsive one column tumblr theme built with extreme customizability. Content size can be adjusted from 500px to 900px wide, sidebar position can be adjusted as well. Item Reviewed: Hogwood New Responsive Content Focus Theme 9 out of 10 based on 10 ratings. 9 user reviews.